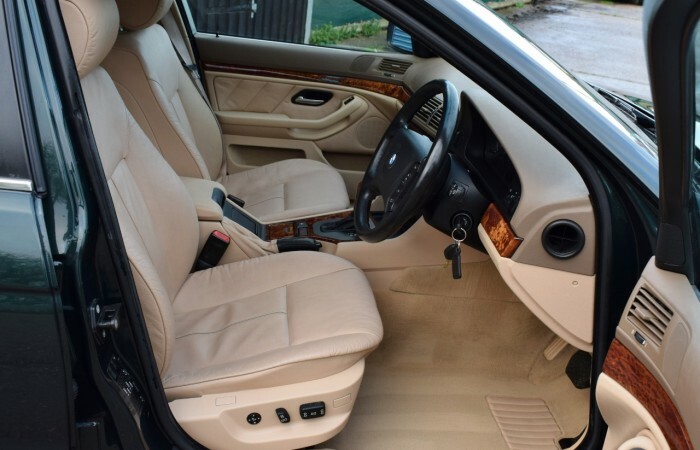 LOVELY SPECIFICATION – ELECTRIC LEATHER SEATS – PARKING SENSORS – XENON LIGHTS – CD CHANGER – DUEL AIR CONDITIONING ETC. 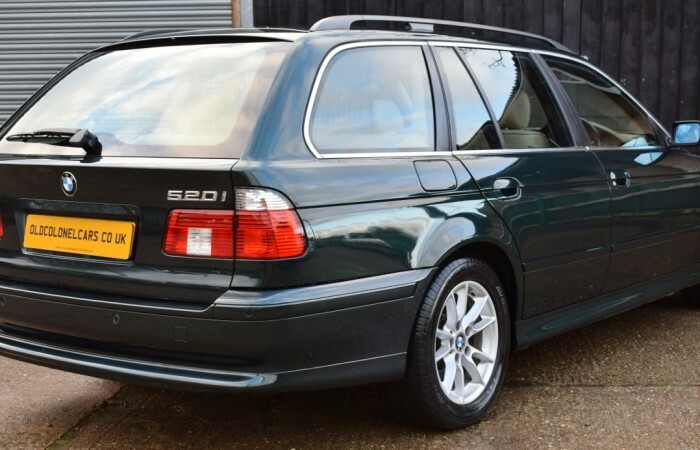 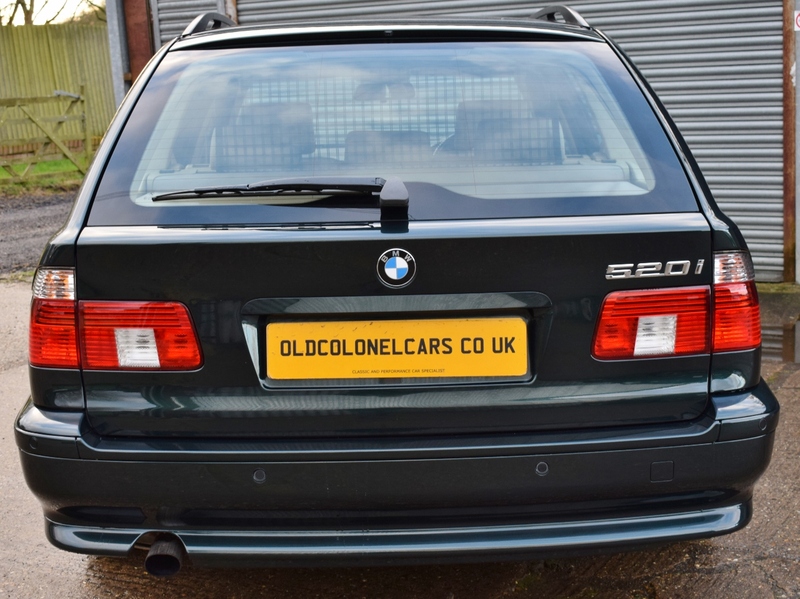 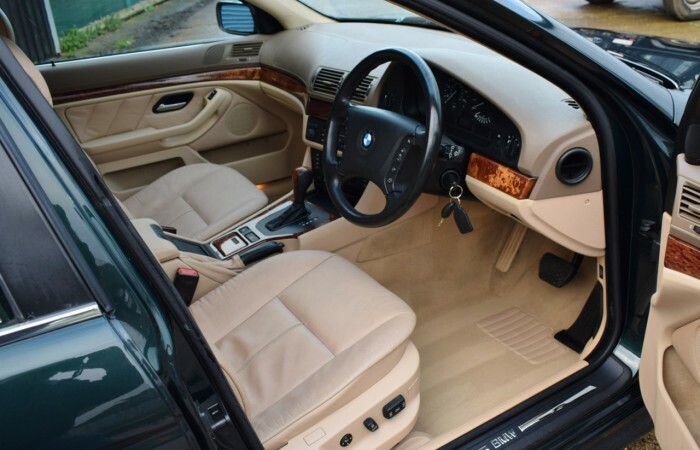 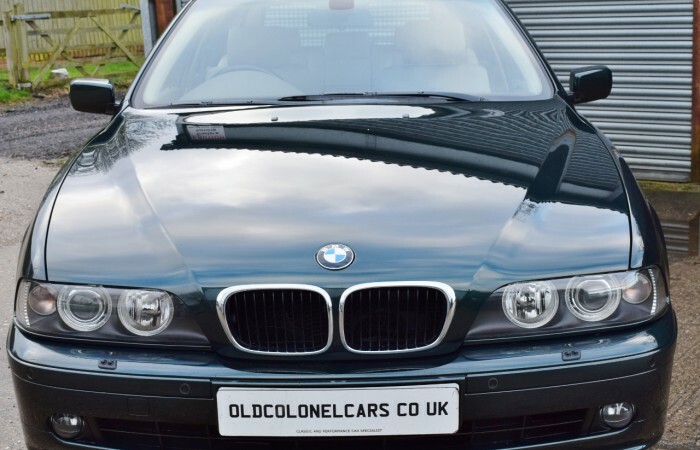 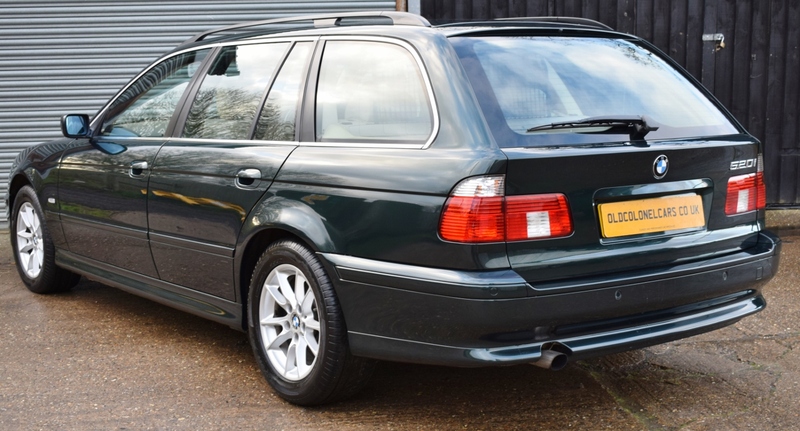 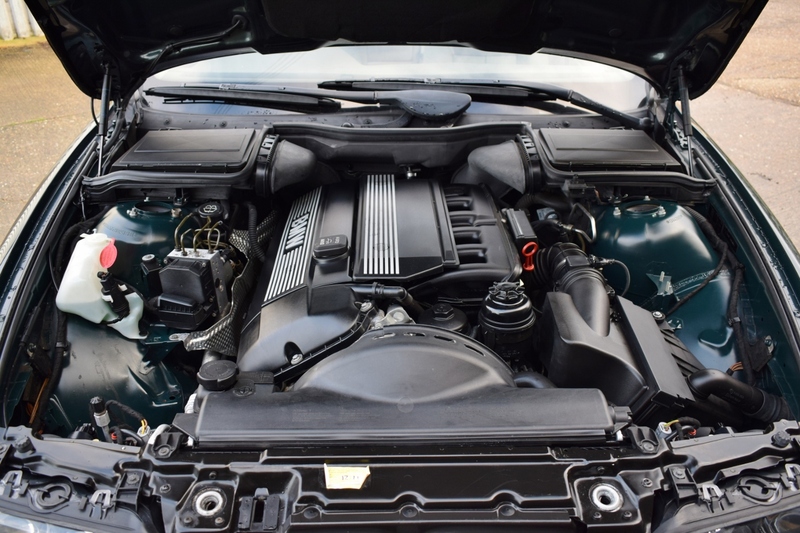 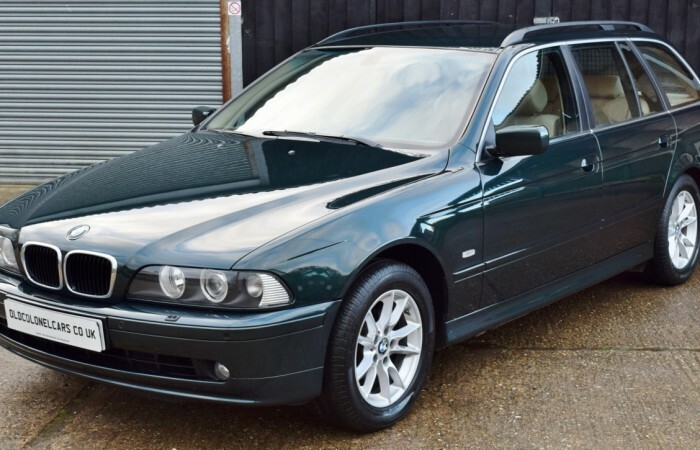 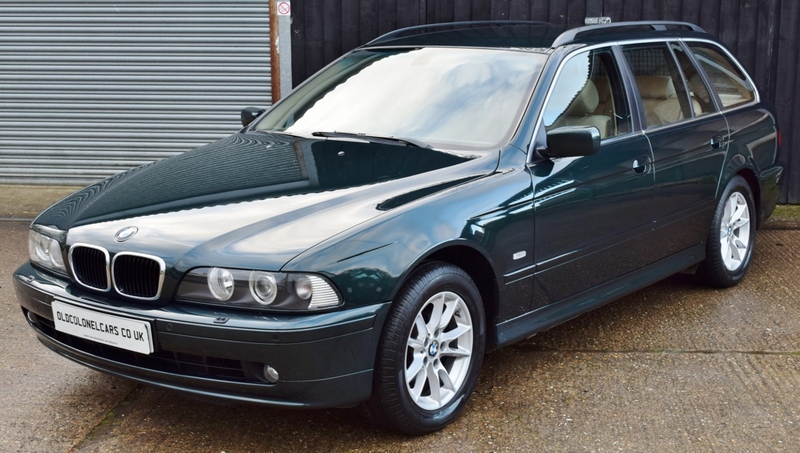 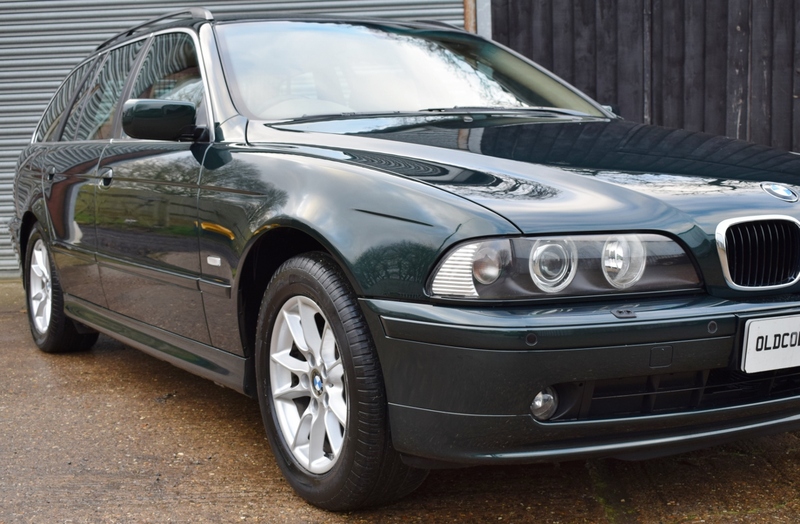 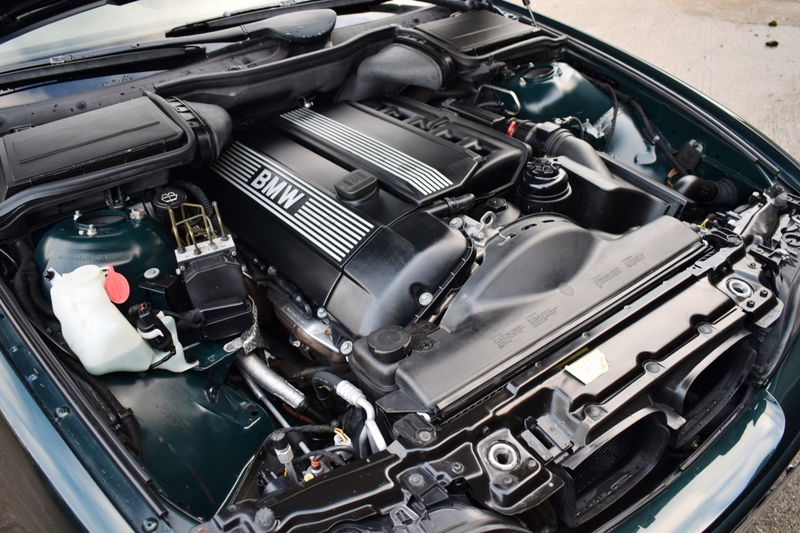 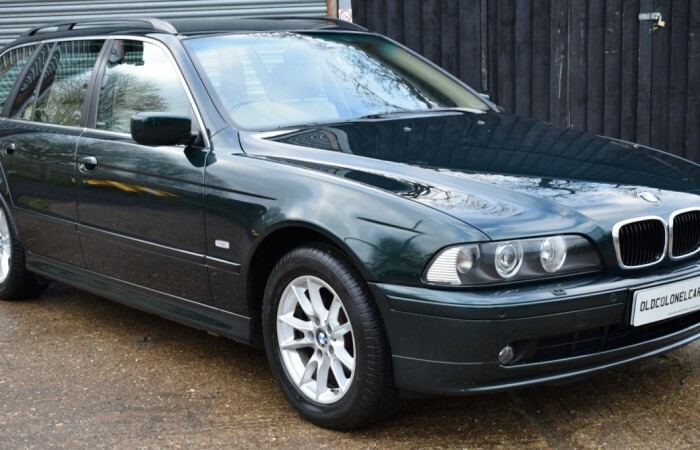 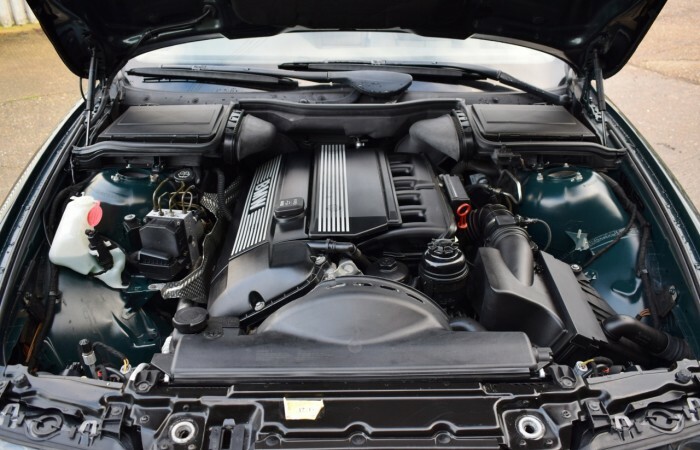 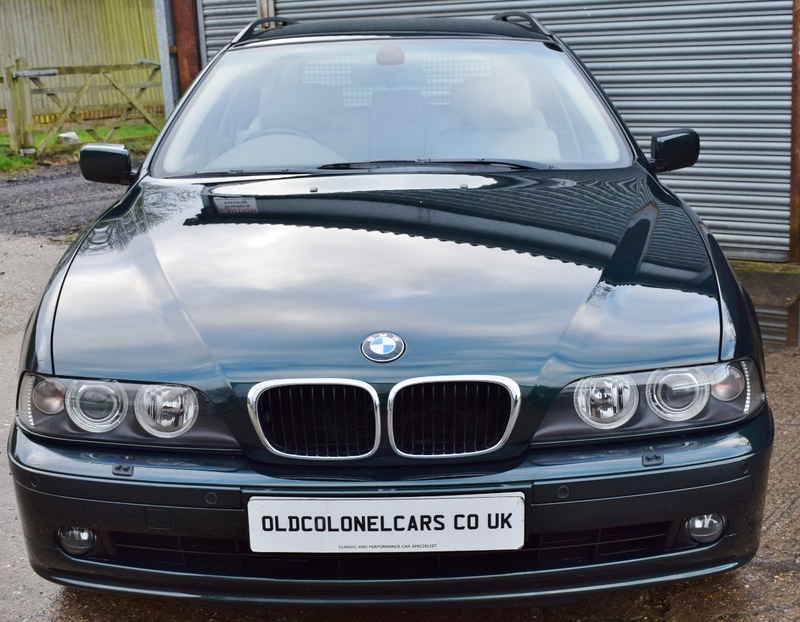 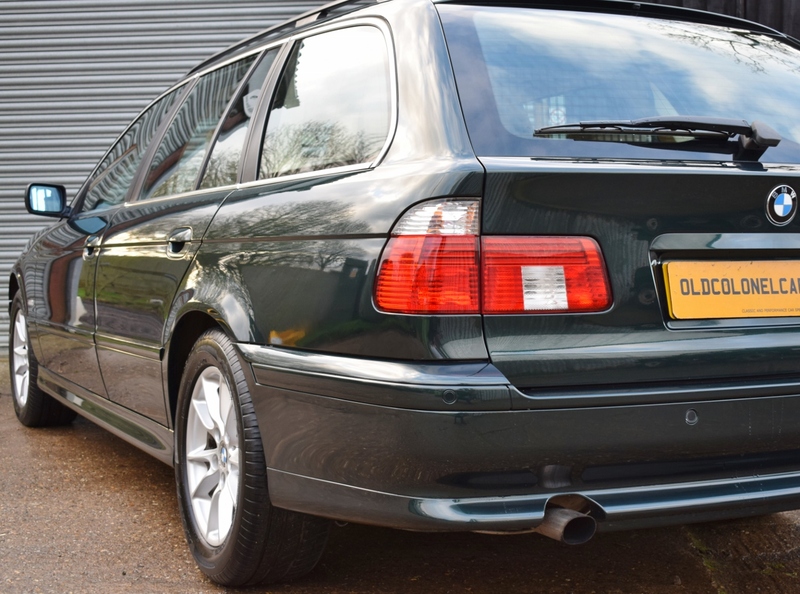 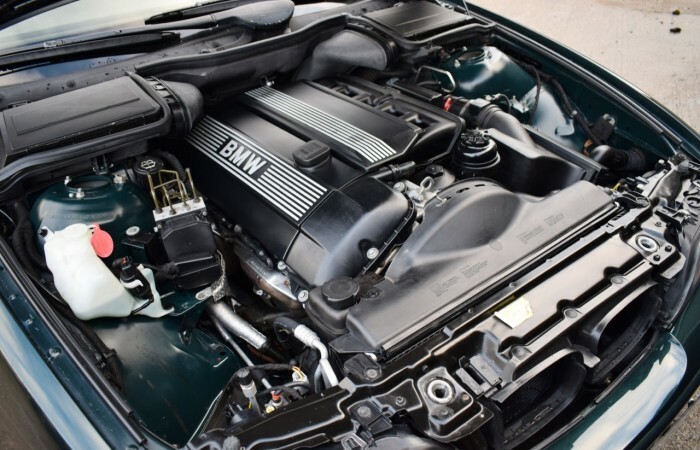 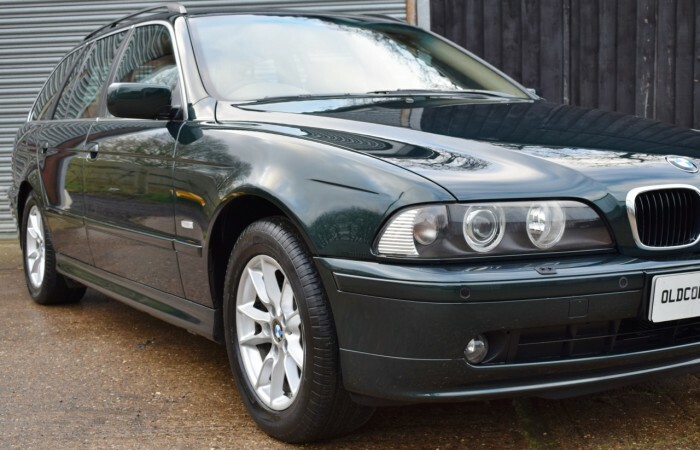 Here we have an excellent example of a 2 Owner, BMW E39 5 Series Touring. 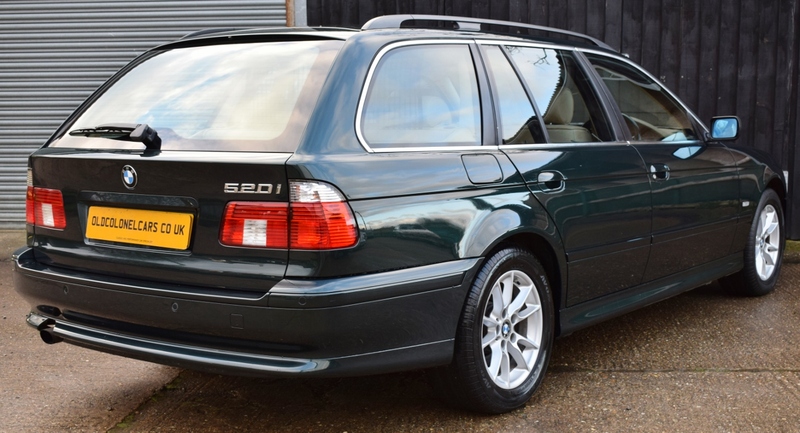 This example is the 520 (2.2 straight six), with only 79,000 Miles from new. 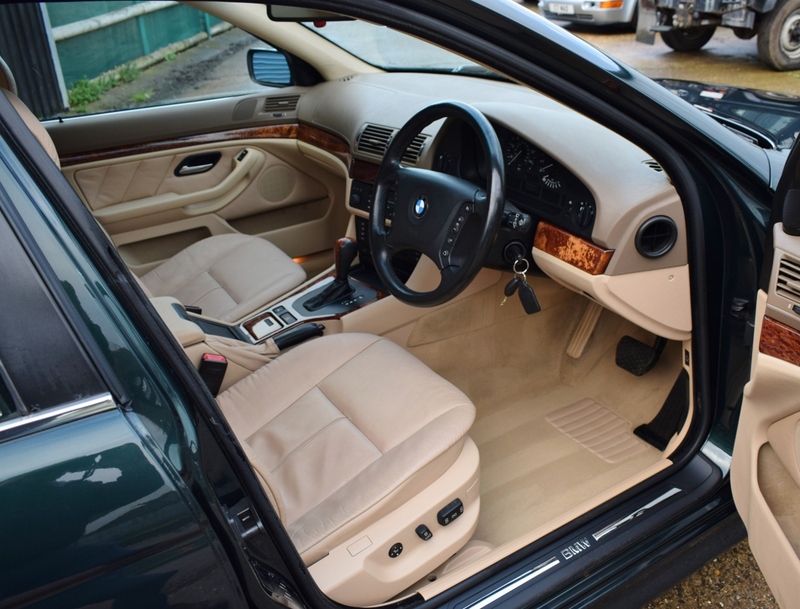 The E39 5 Series is one of the highest regarded models, this is one of the last, a 2002, facelift example. 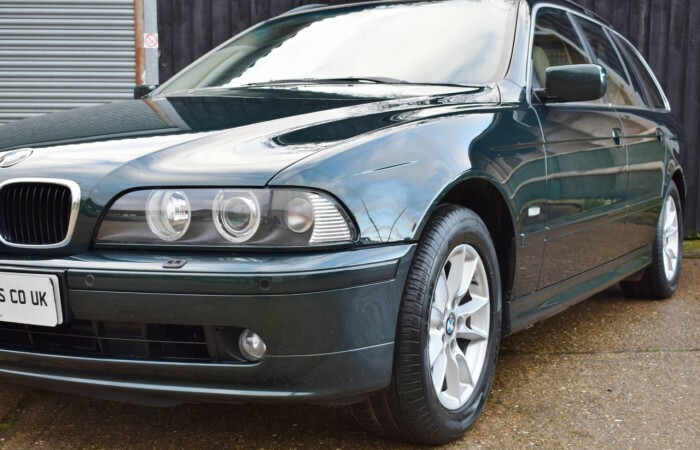 We have a lot of customers who have moved onto newer examples of the BMW series, then come back to the E39. 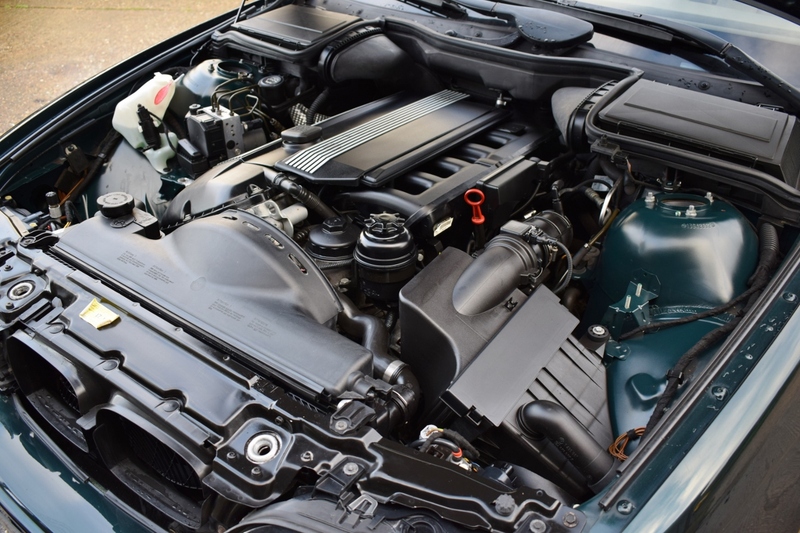 The 2.2 straight six engine is mated to an automatic / sequential gearbox. 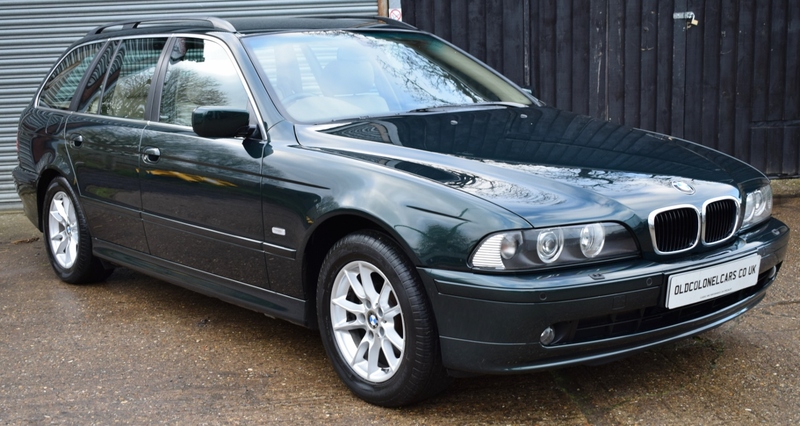 The E39 520 is a lovely smooth car, with plenty of power. 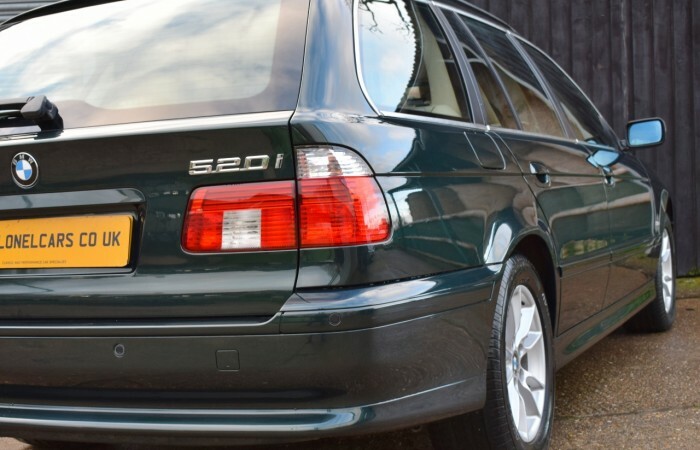 This example is finished in Dark Green Metallic paintwork. Its in excellent condition, with a lovely deep all over shine. 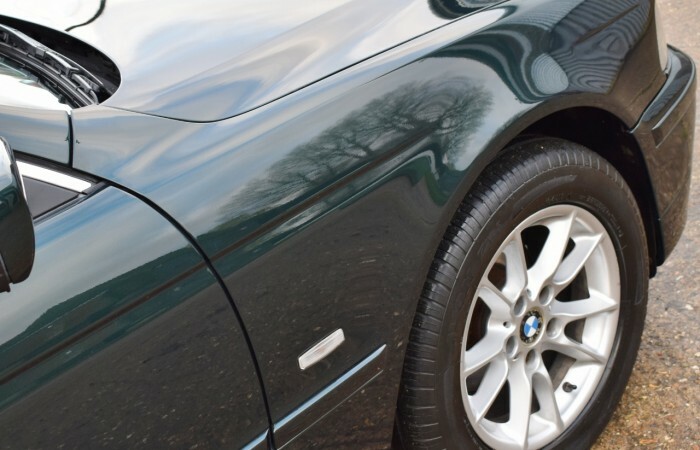 There is no rust on this car, no noticeable dings or dents. 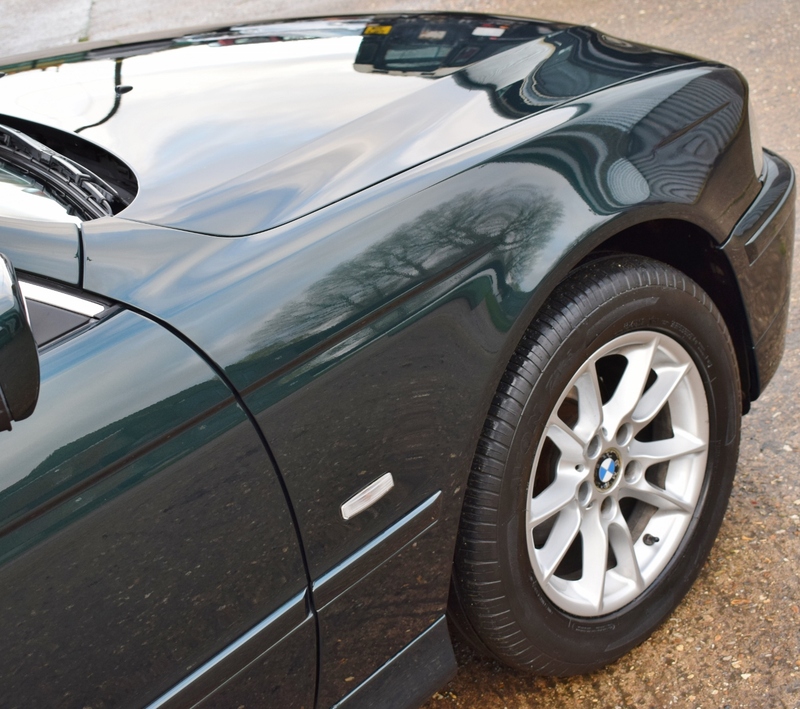 As its a facelift example, it benefits from fully colour coded bumpers, mirrors etc. 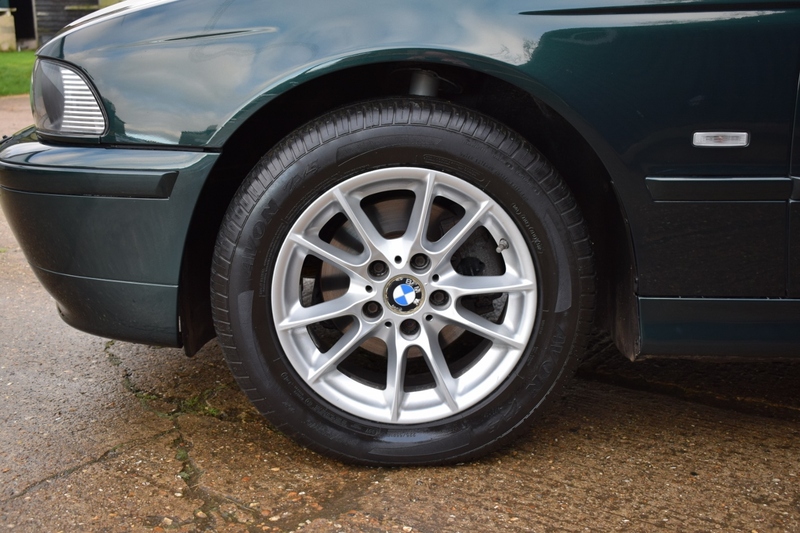 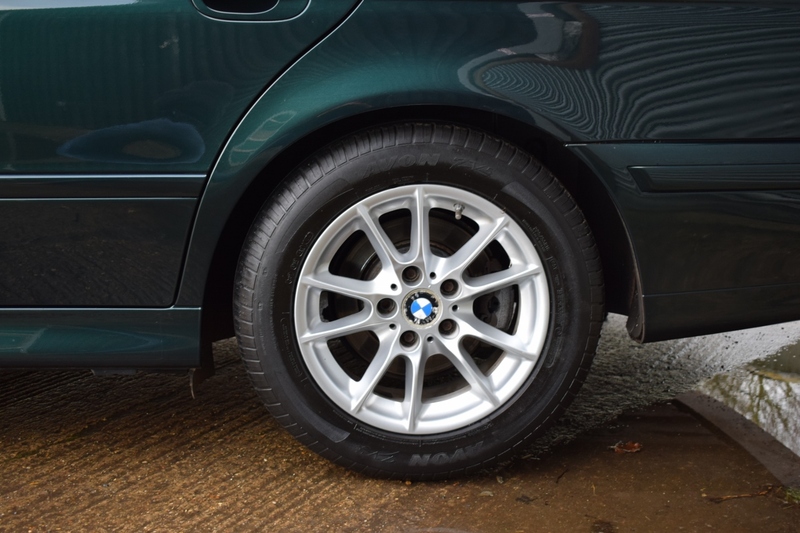 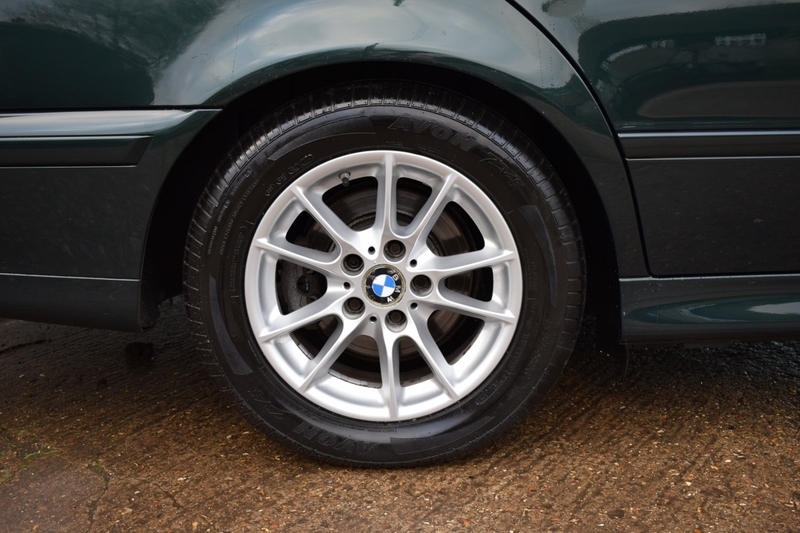 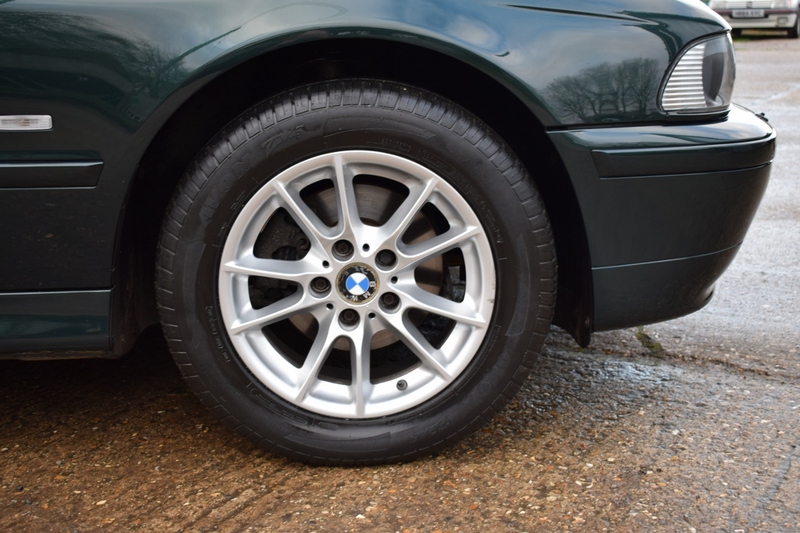 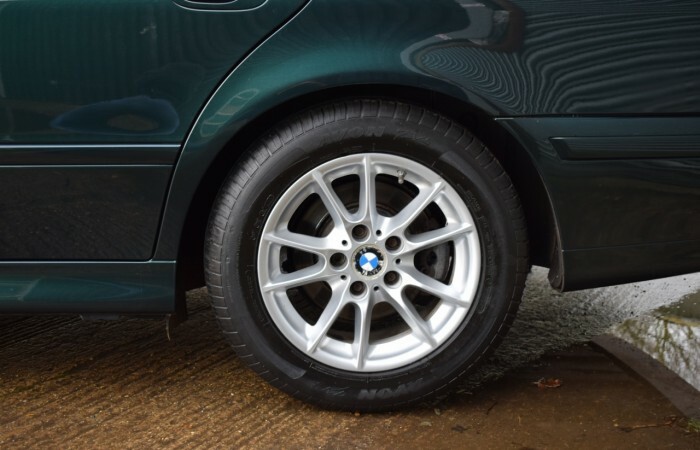 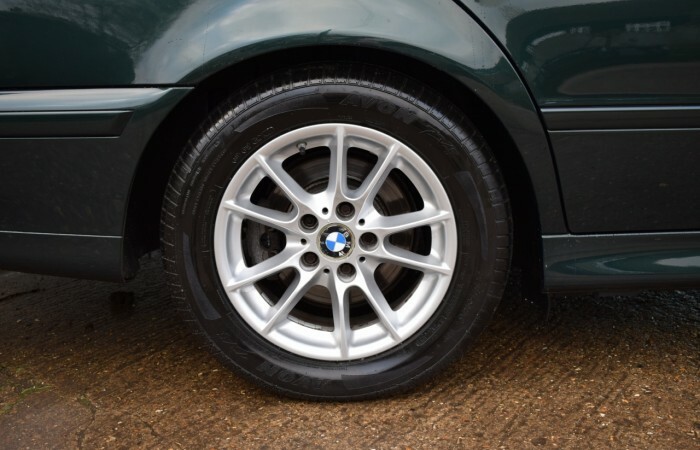 The Alloys are also those only fitted to the last of the E39’s. 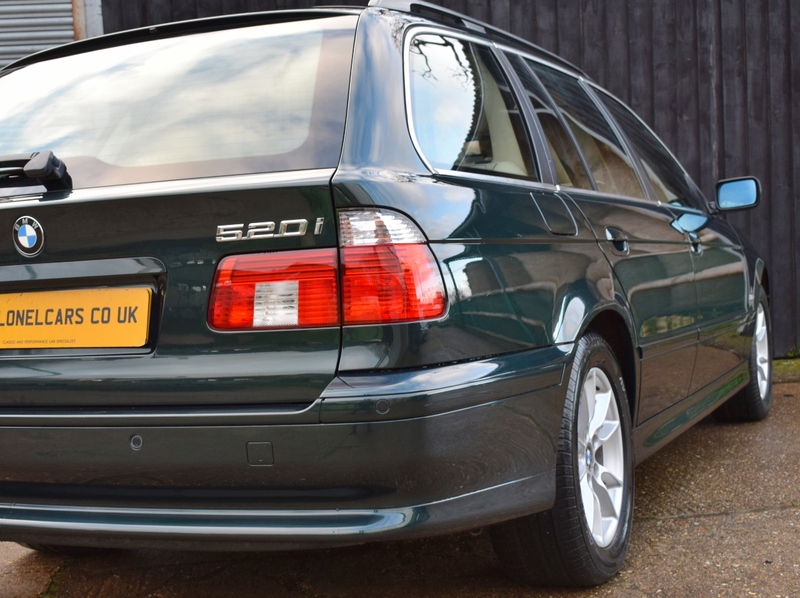 This is a very good looking car, the colour seems to look right on this estate model. 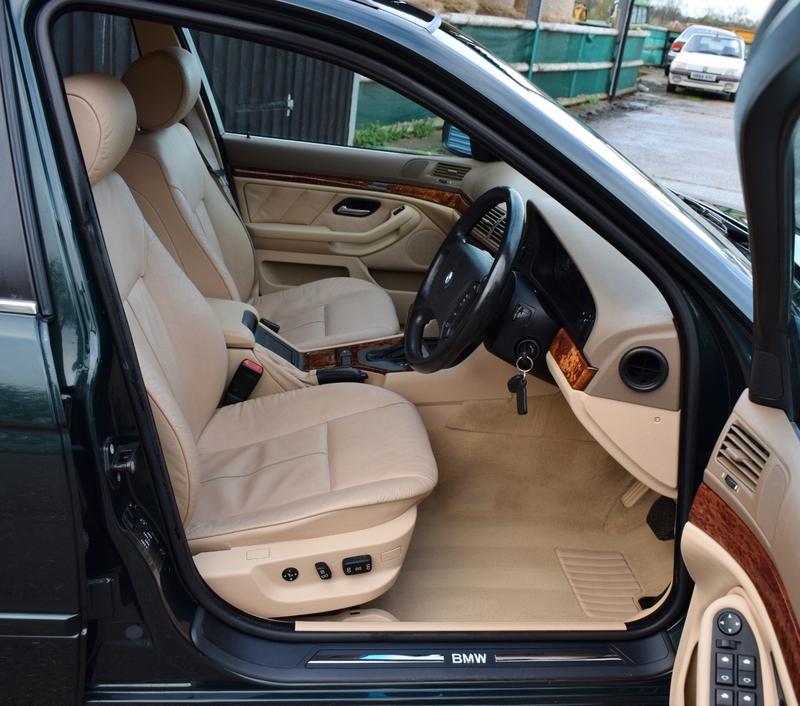 The interior is finished with Tan leather, with wood trim. 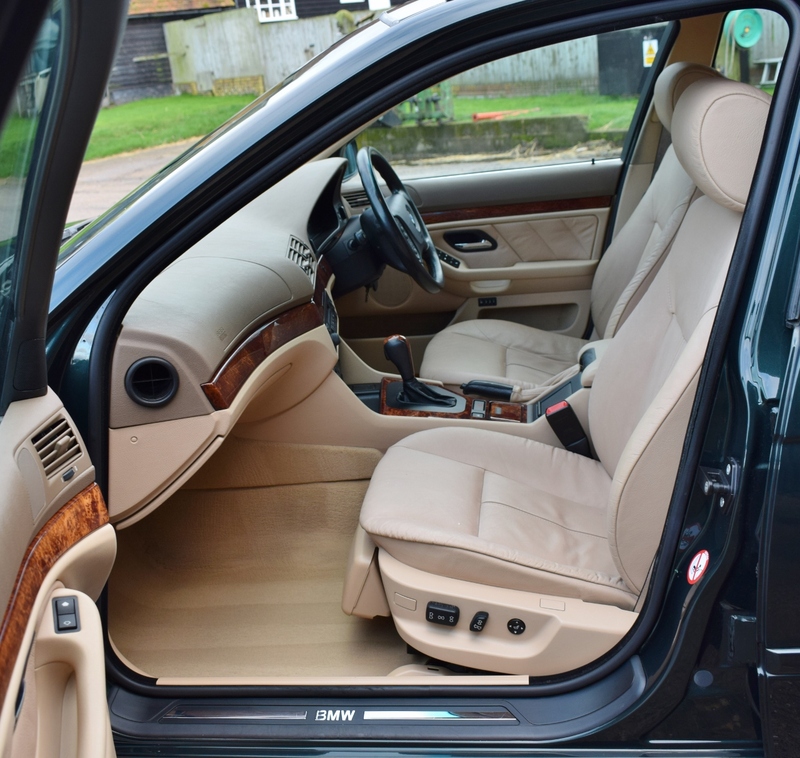 This interior is in excellent condition throughout. 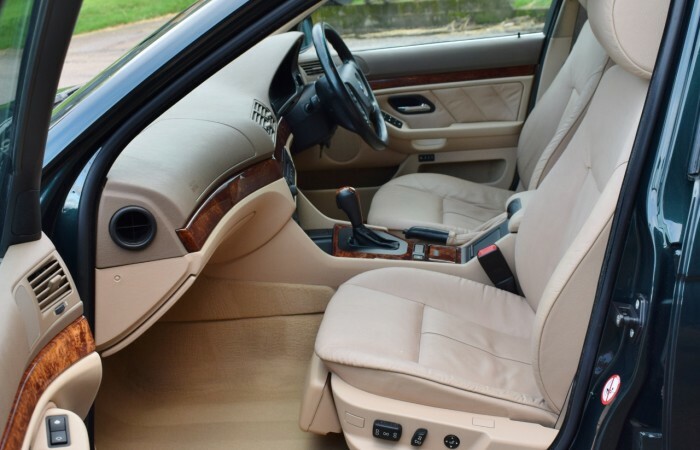 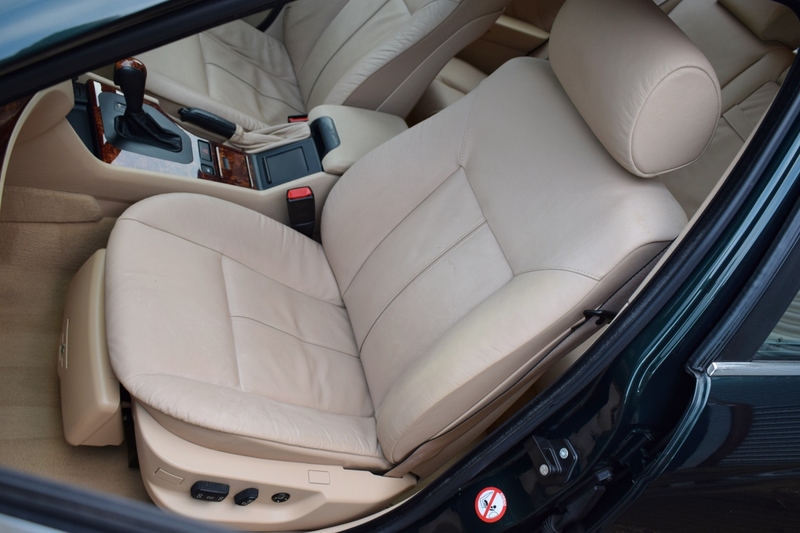 The seats are in lovely condition, good quality leather and on this car the seats are electric. 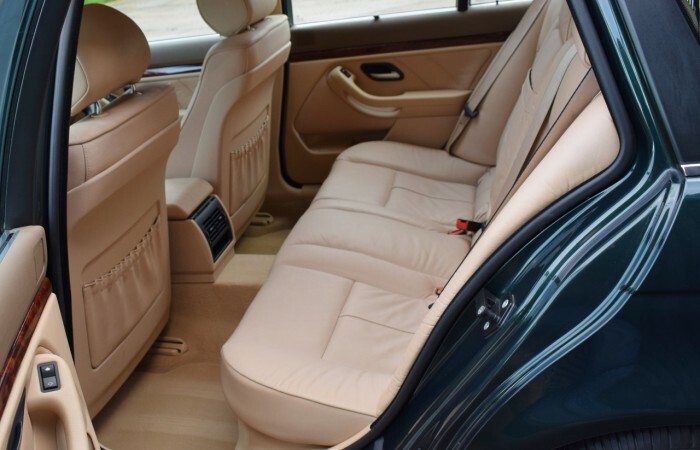 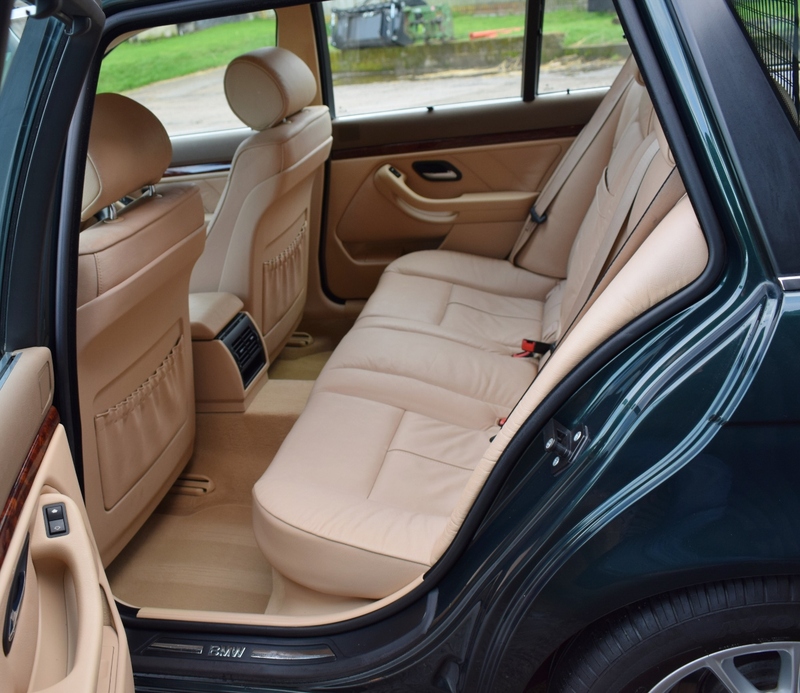 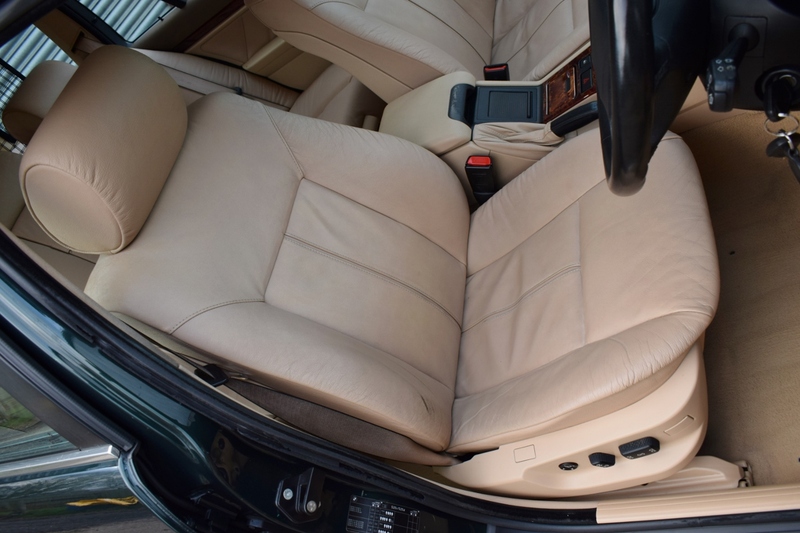 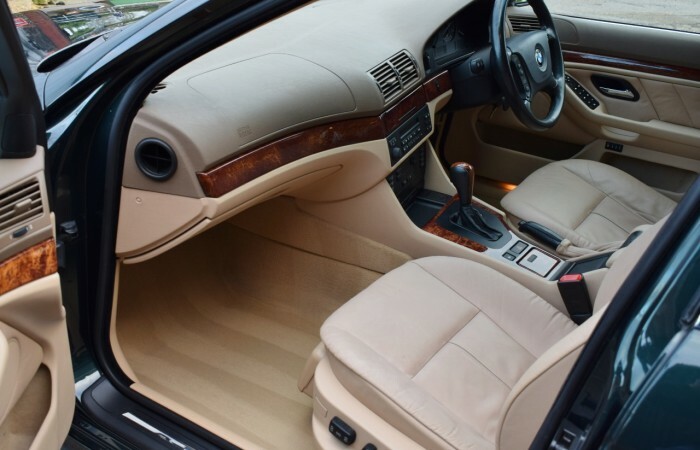 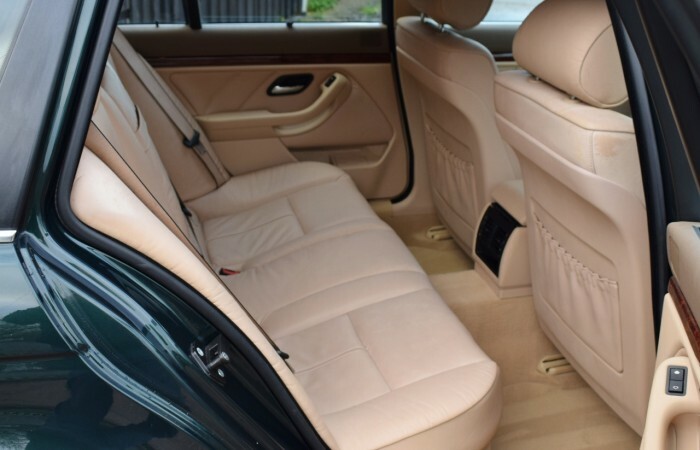 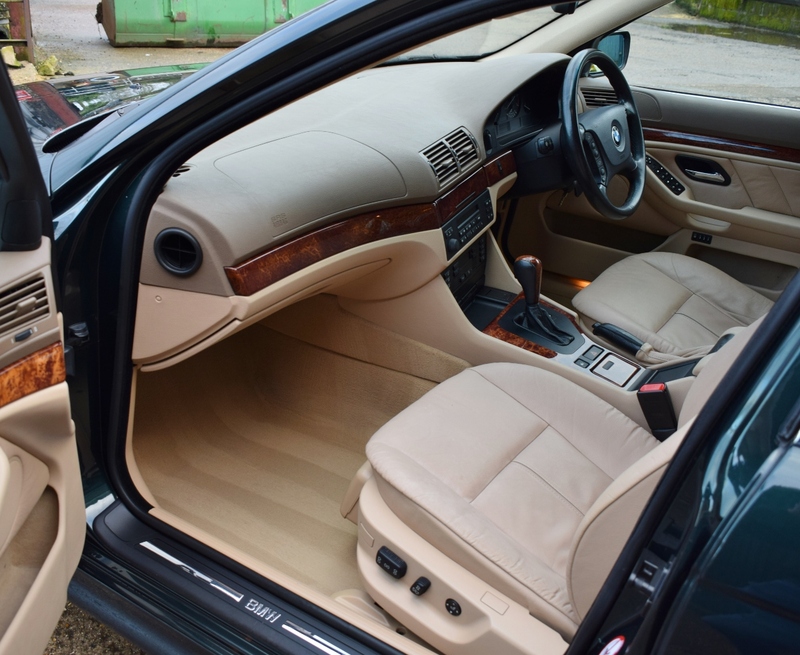 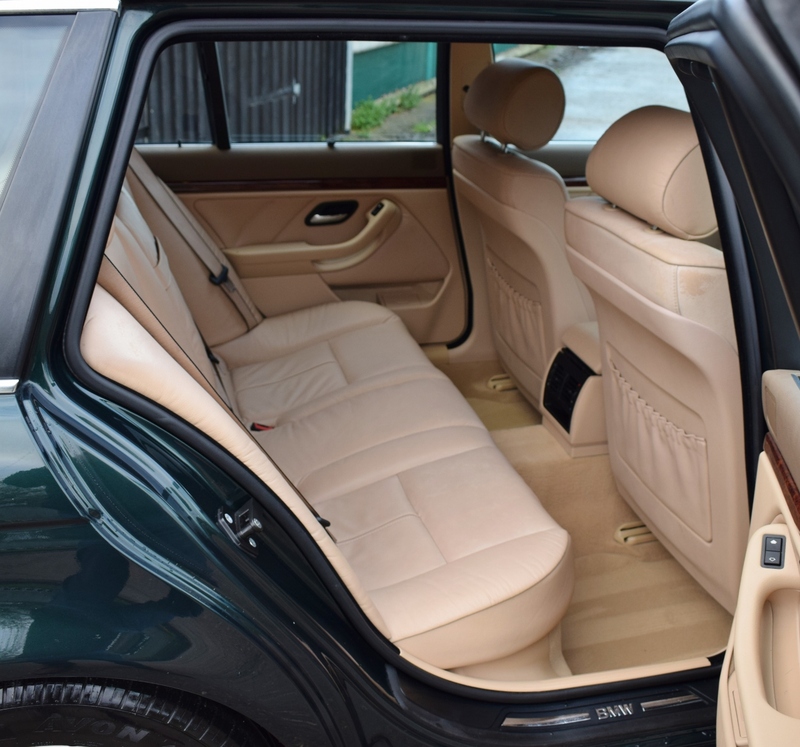 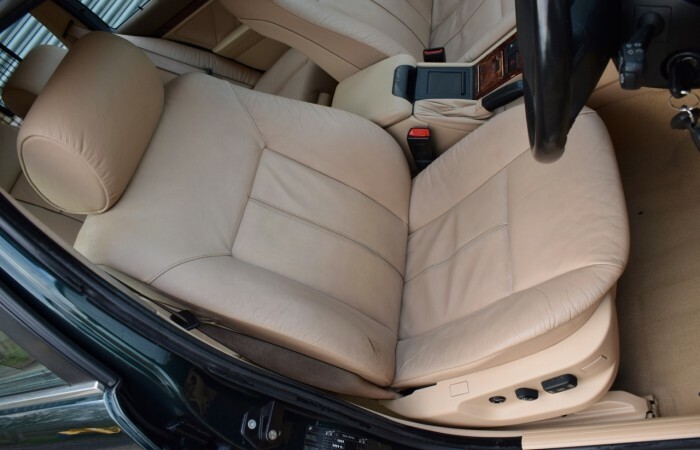 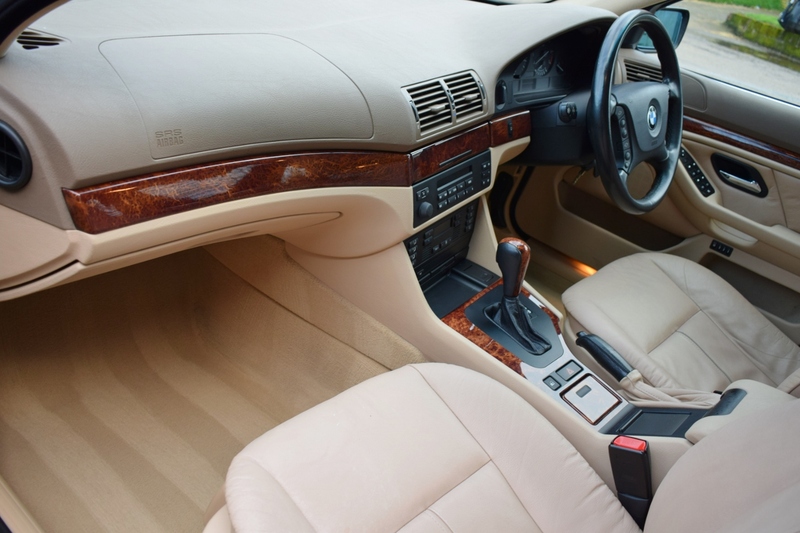 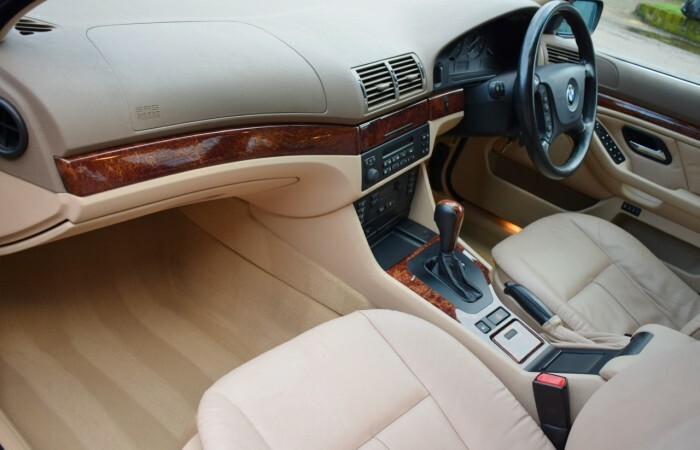 The cream deep pile carpets have been protected from new by the original BMW overmats, so both are in excellent condition. 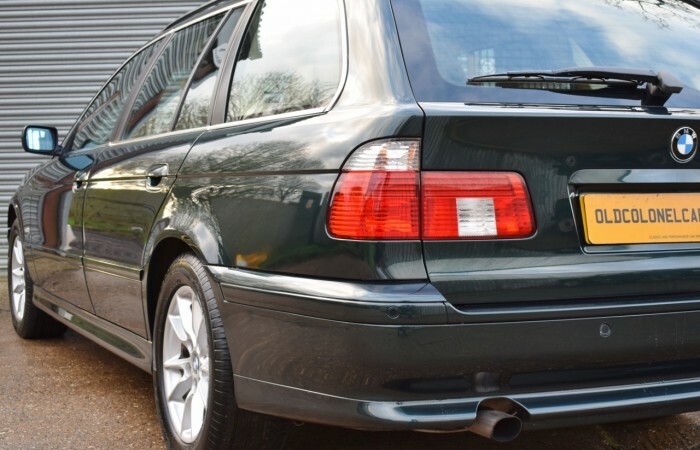 Every where you look in this car, its the same story, all in lovely, original condition throughout. This BMW Features PAS, ABS, Traction Control, Multi Air Bags, Electric windows, Electric mirrors, Electric seats, Air conditioning, On board computer, Multifunction steering wheel with cruise control, CD Changer, Parking sensors, Rain sensor wipers. 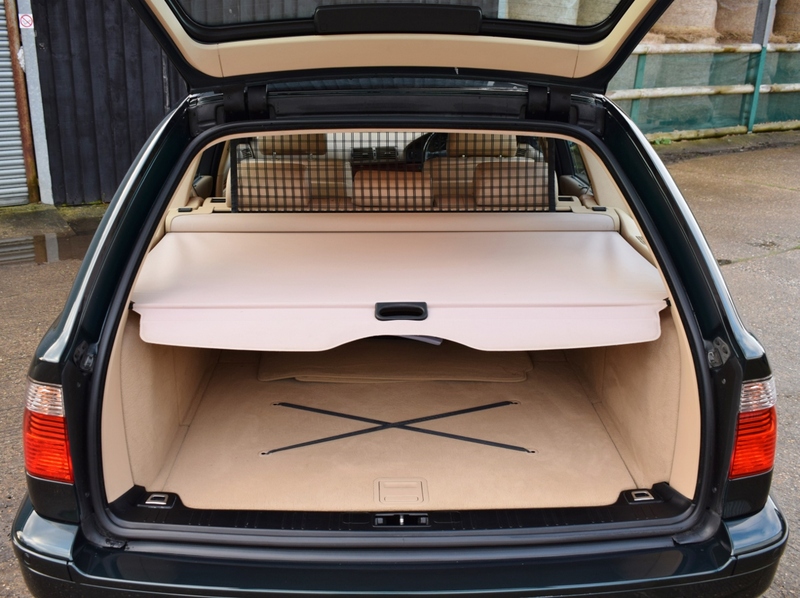 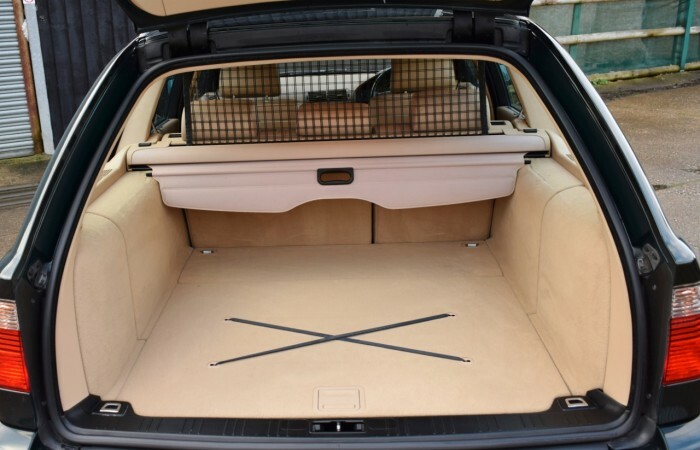 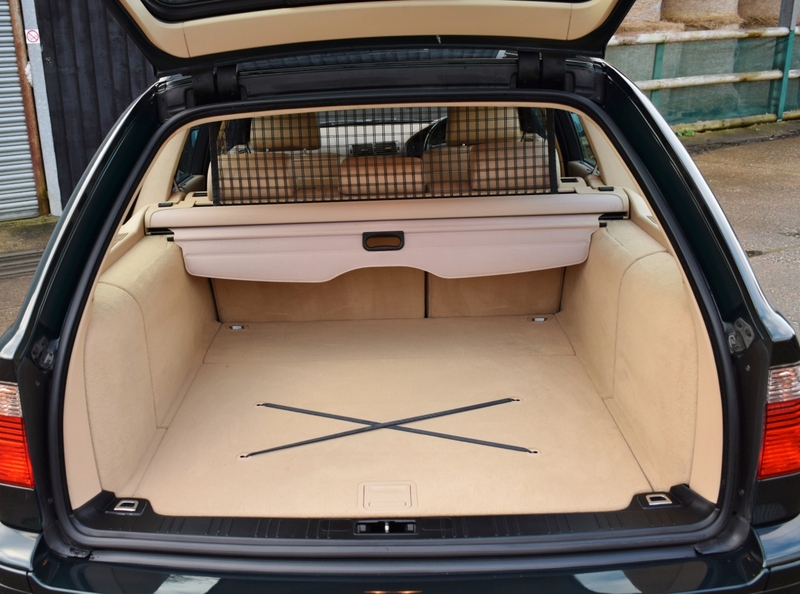 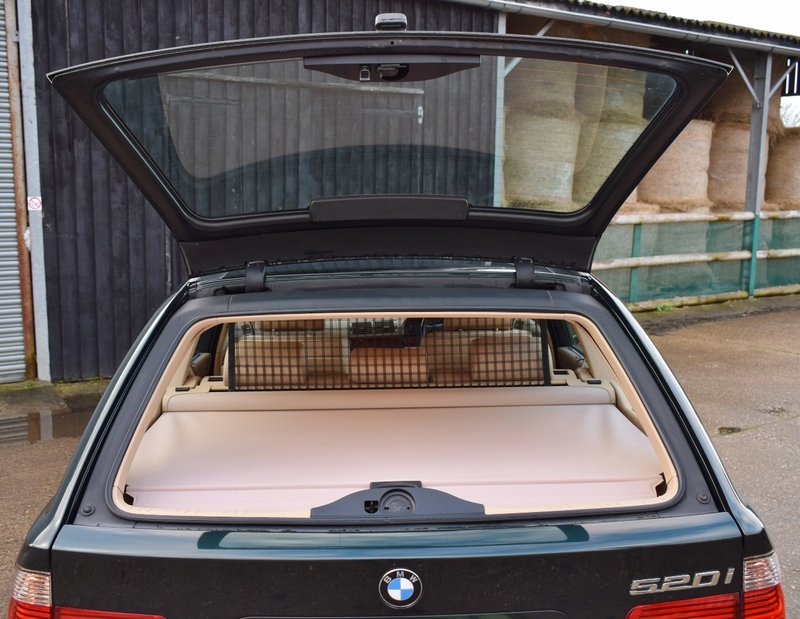 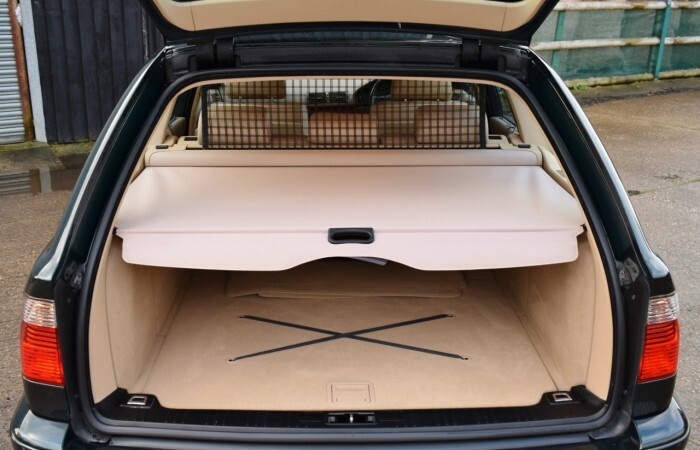 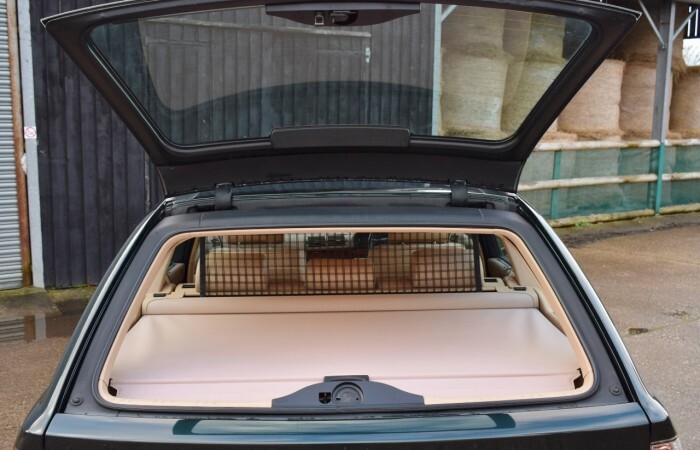 This BMW touring comes with the removable rear luggage guard, dog guard (no sign of having pets), unused tools etc. 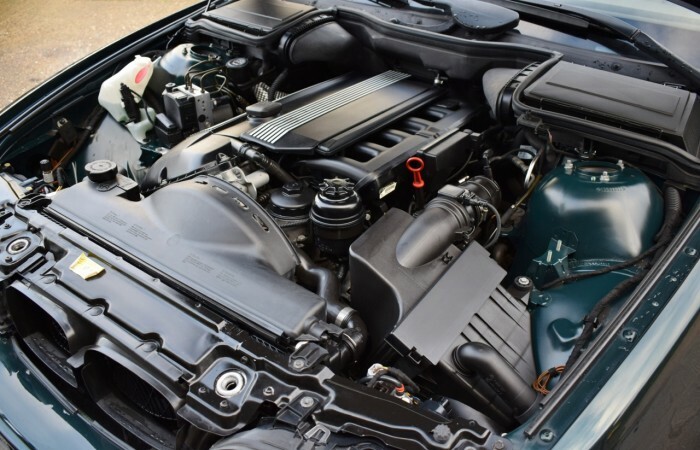 This example features a full service history from new. 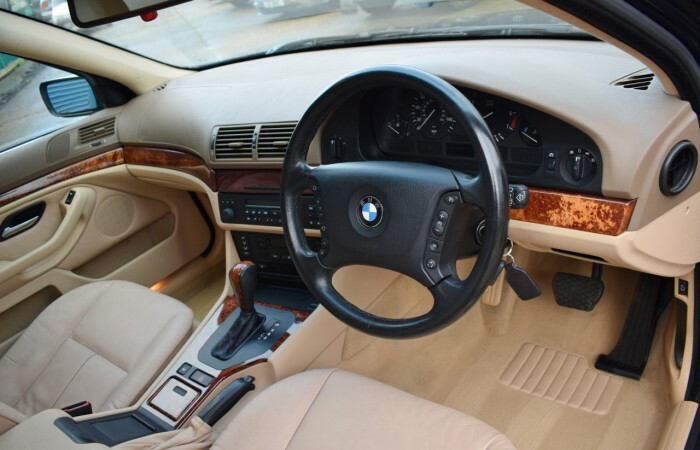 We have all the original manuals, a fully stamped original service book, all the keys. 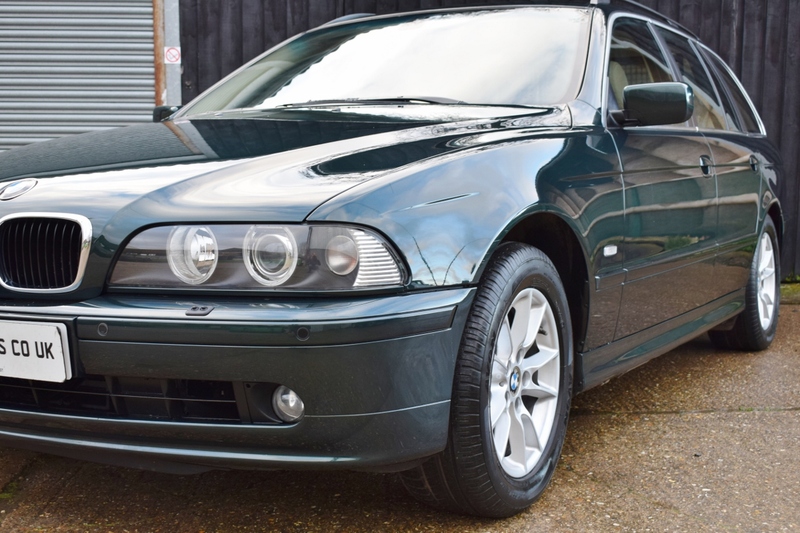 The E39’s are fantastic all round cars. 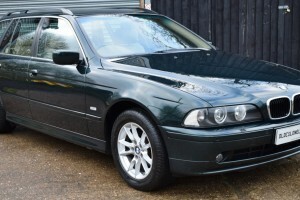 The E39 won many awards over its long production run. 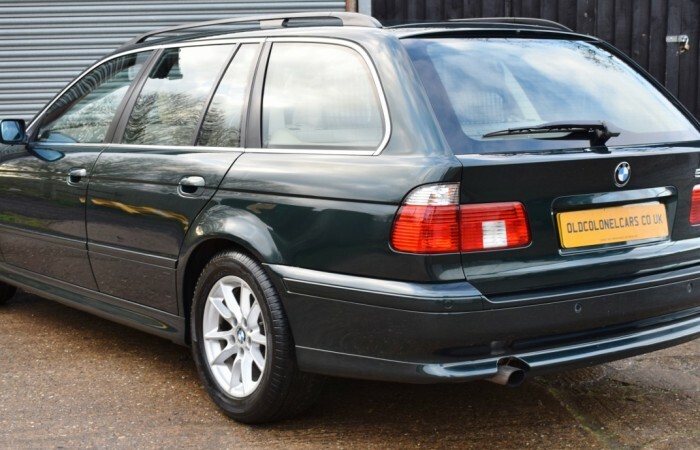 Its getting harder to find, genuine low mileage examples like this one, especially a facelift touring example like this one. 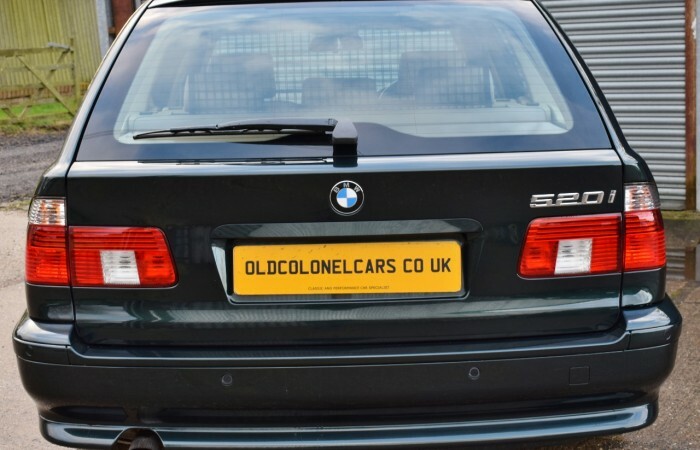 This car drives and performs very well. This BMW comes with an MOT until June 2018, recently had full check over by A1 BN BMW specialist, including new rear brakes.